Roanoke County is fortunate to have an abundance of recreational activities and high-quality, award-winning fine arts and cultural organizations. Facilities for meetings, conferences, and conventions also abound, making Roanoke County the regional hub for such gatherings. 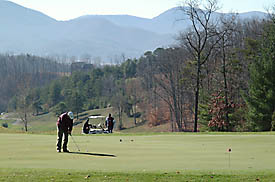 In January 2010, the Green Ridge Recreation Center opened in Roanoke. The 76,000 square-foot facility is Roanoke Valley’s first multi-generational recreation center. Located at the intersection of Valleypoint Parkway and Woodhaven Road, the $30 million facility provides recreational opportunities, programs, and meeting space for the community. It also serves as an anchor for the new signature business park. The region,Virginia’s Blue Ridge, is home to more than 300 miles of single-track trails spread across multiple trail systems - Explore Park, Mill Mountain Park, Douthat State Park, and Carvins Cove Nature Reserve, not to mention some pretty epic backcountry single track and gravel rides. 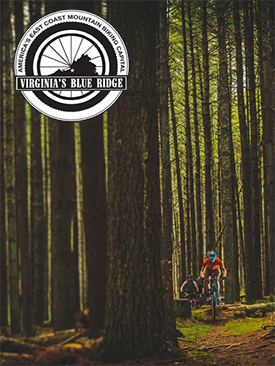 Virginia’s Blue Ridge is the only East Coast community designated as a Silver-Level Ride Center by the International Mountain Bicycling Association. The region was selected after an extensive review that assessed the quality of riding, bicycle-friendly infrastructure, amenities, and bike culture. In other words, the riding here is awesome.